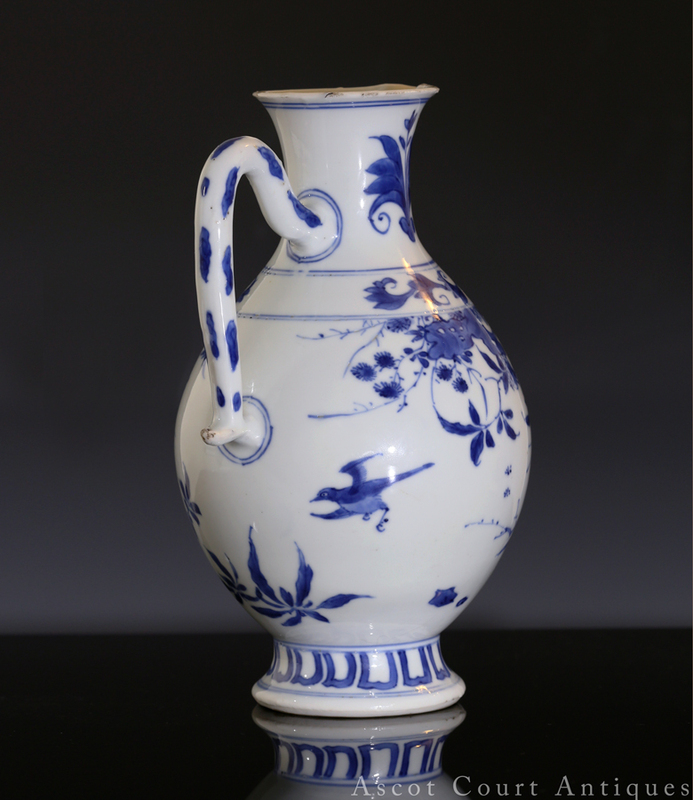 An elegant Chongzhen period transitional blue and white ewer, finely and tightly painted with bird-and-flower scenes in the literati style. 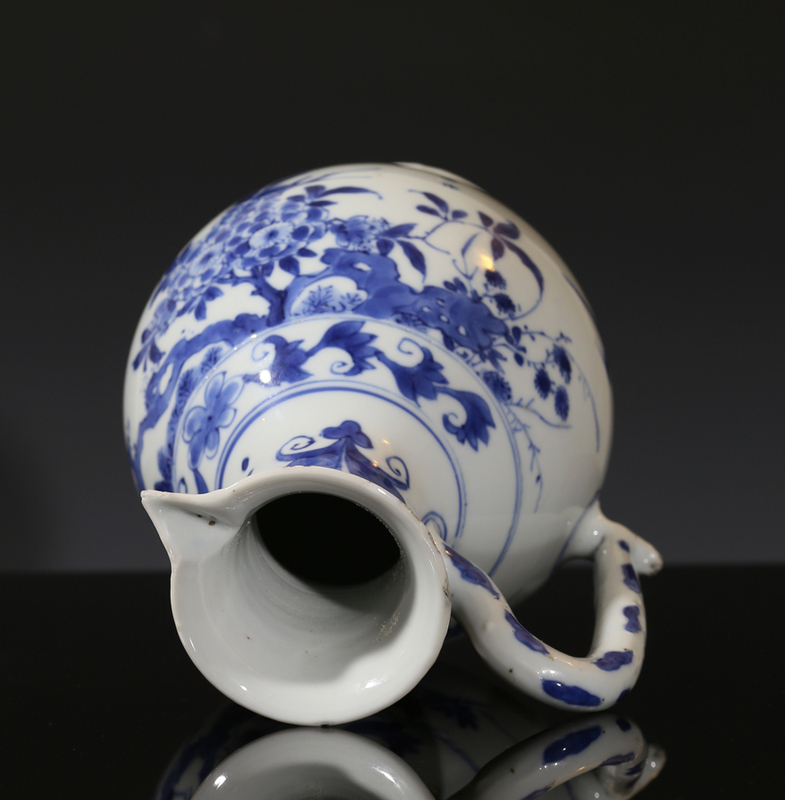 The compositional balance and tasteful use of white negative space is simply lovely. 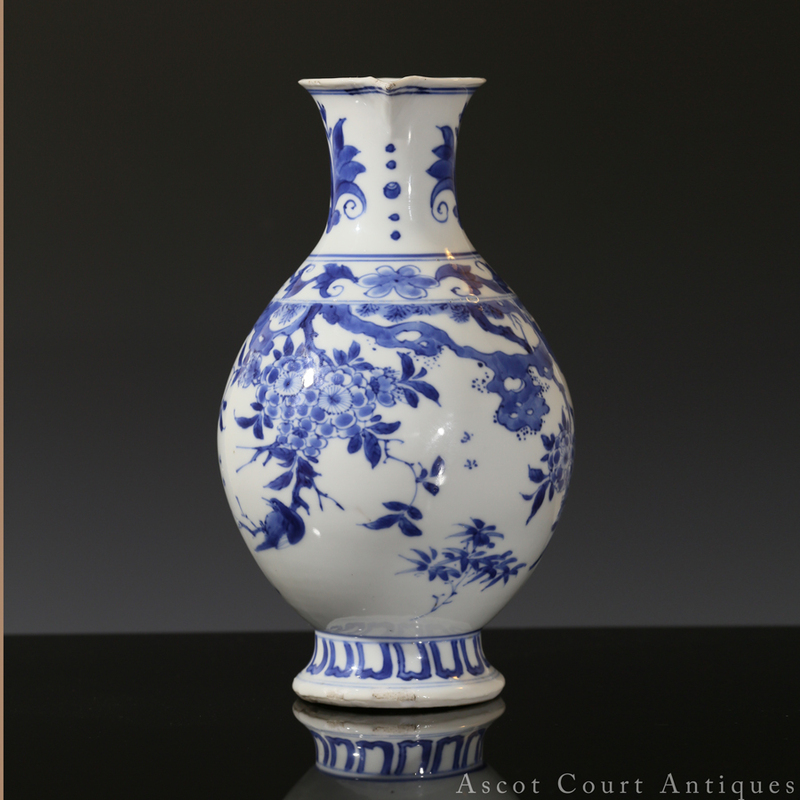 The glaze is luminous and bright. 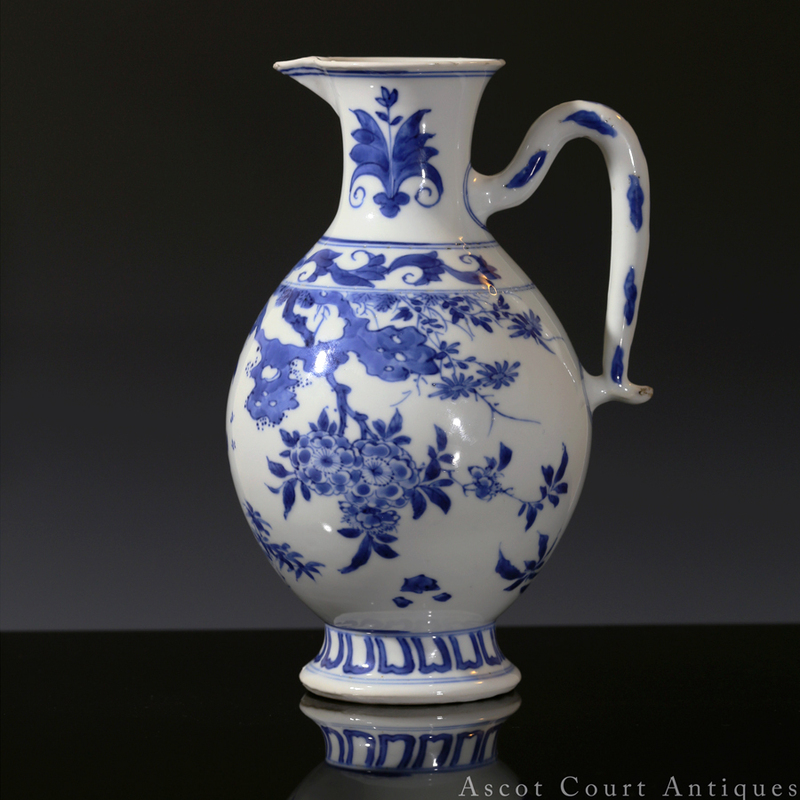 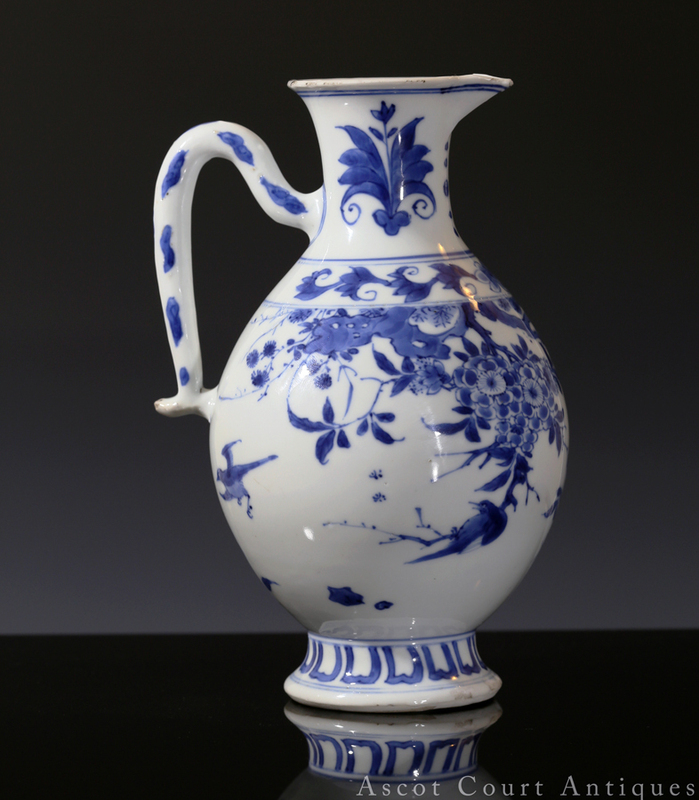 And true to transitional standards, the ewer is rather heavily potted, with the weight centered in the lower end of its body. 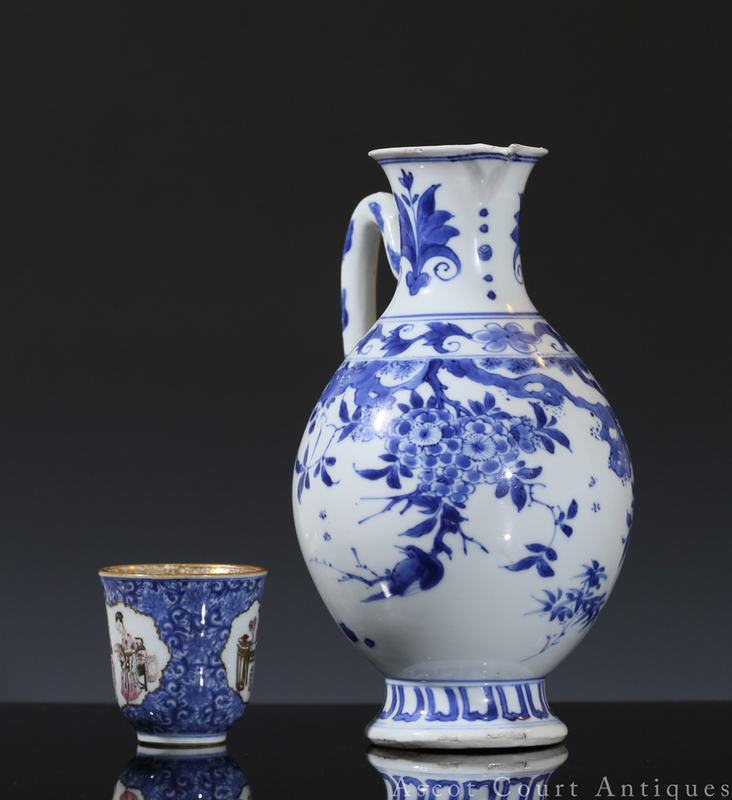 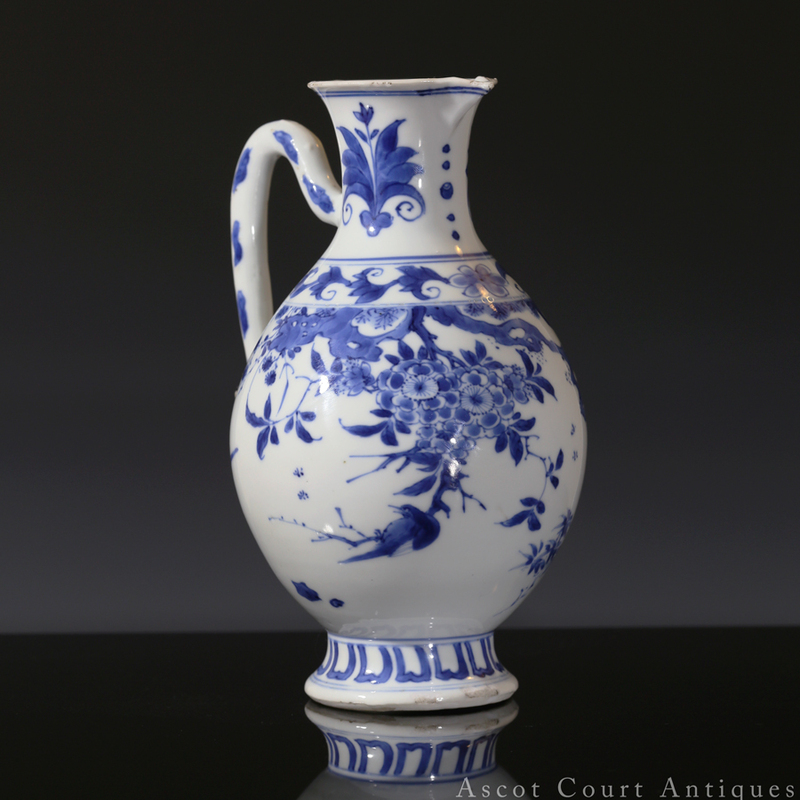 With its bright, lovely glaze and vivid cobalt blue, this ewer is quite representative of the refinement and technical finesses of 17th porcelain produced by Jingdezhen’s private kilns. 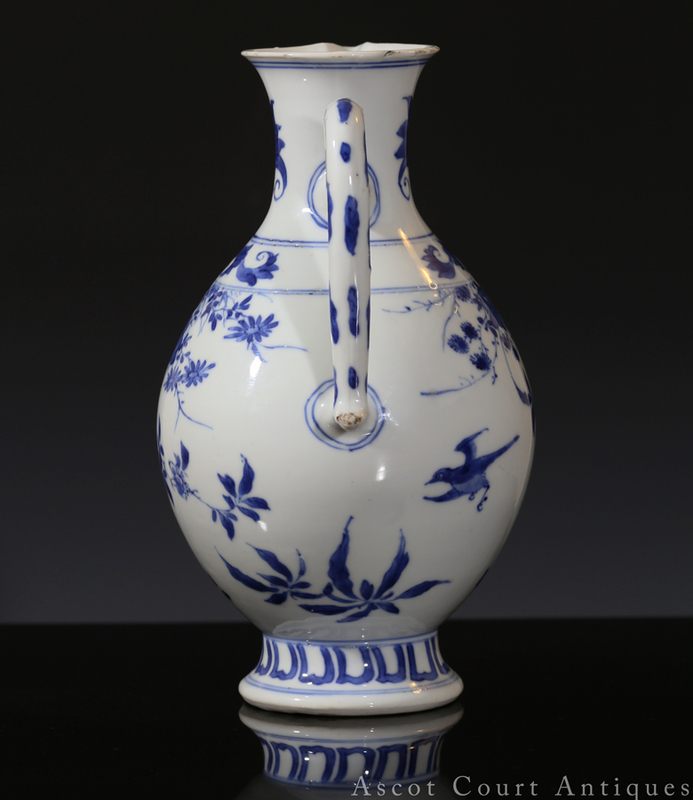 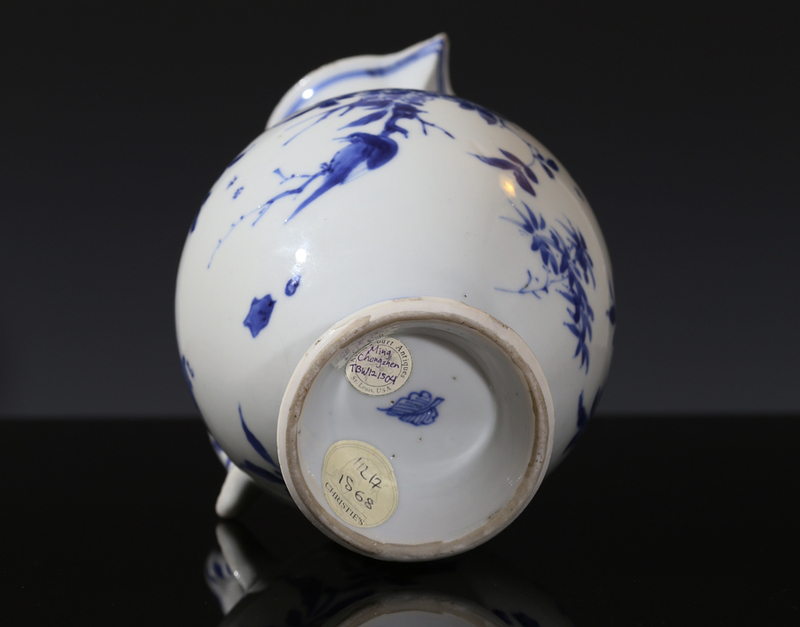 Although war and dynastic upheaval had eliminated the imperial court as a patron-regulator, Jingdezhen potters adapted well to the privatization of the industry, and indeed much of the porcelain produced for domestic and foreign trade markets during this period are finer than any non-imperial wares heretofore made.